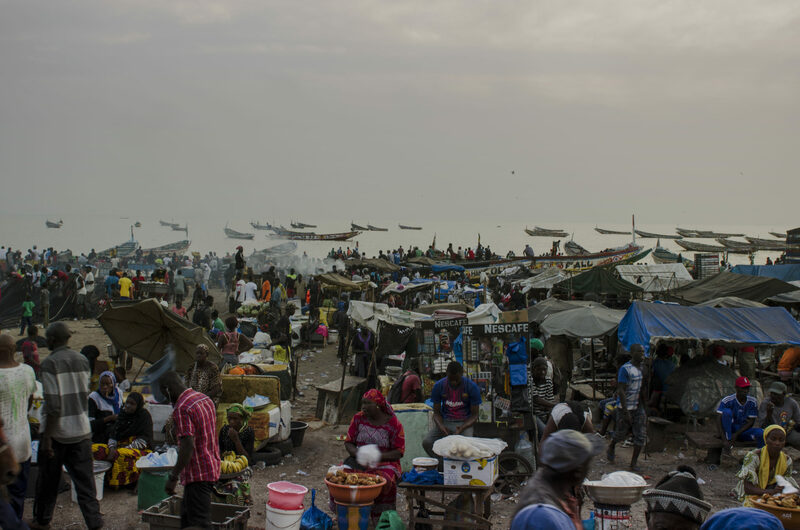 Sweaty male skin covered in thick fish juice: The fish market Mbour hasn't changed much in the past hundred years when you take a brief look. However, the Westafrican sea is almost fished dry. Alert stage: bright red for local fishermen in their pirogues. Fifteen whole days spent out on the rough Atlantic, in nothing more than a flimsy pirogue canoe. 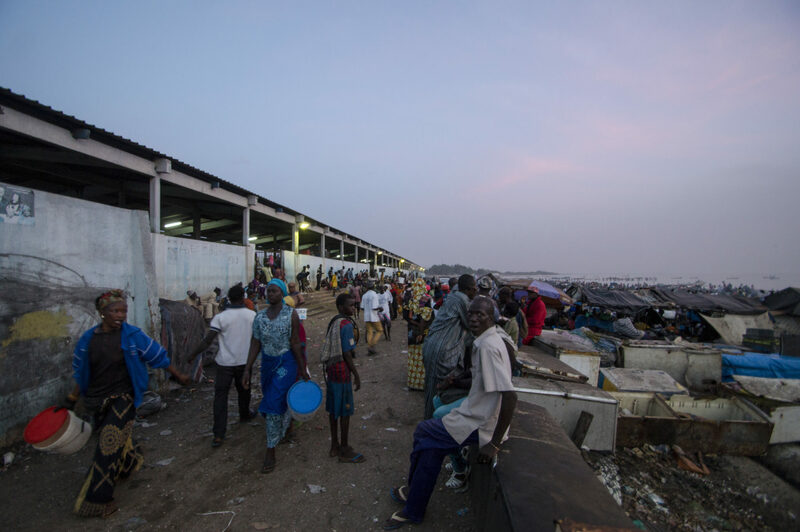 Fishermen from the North Sea, located at the fish market Mbour, would be aghast at the prospect, but the Senegalese are made of sterner stuff. Like the land, so are its people. Mbour knows no horizon. The milky sky dissolves straight into the sea. A single, unending pabulum. Caspar David Friedrich would feel right at home here. Suddenly, a boat appears: its ghostly form penetrates the wall of white and glides in towards the sand. The dull sound of the ancient engine is swallowed up by the noises all around. If you didn’t know you were in the middle of Africa, you might mistake the scene for a set from a pirate movie. 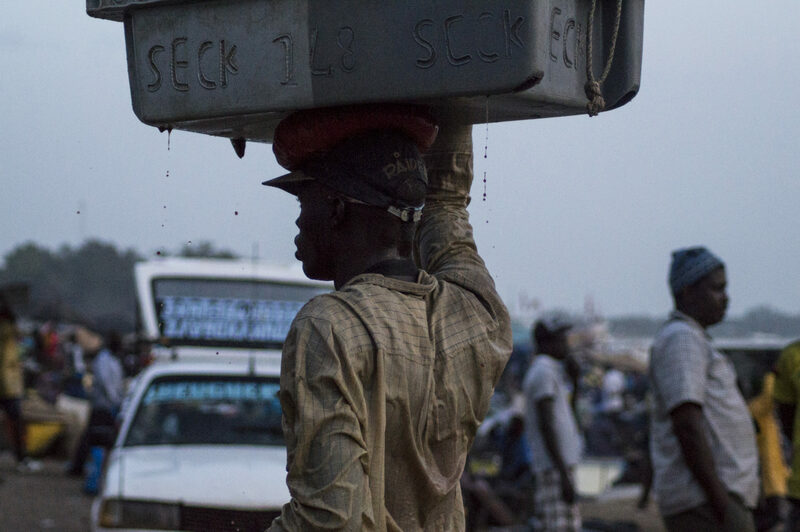 It is early evening on the coast of Senegal and the fish market Mbour is in full swing. The bustling trading centre of Mbour, home to around 600,000 inhabitants, is the most important town on the Petite Côte. 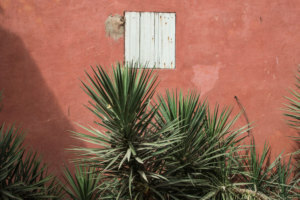 Roughly 80 kilometres south-east of Dakar, the well maintained Route Nationale Nr. 1 winds to the east towards Fatick and Kaolack. 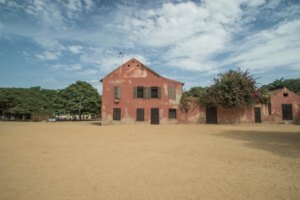 It is an important transport hub in Senegal, tracing its origins to the beginning of the 19th Century. At that time, the French colonial powers had established a military base in Mbour. 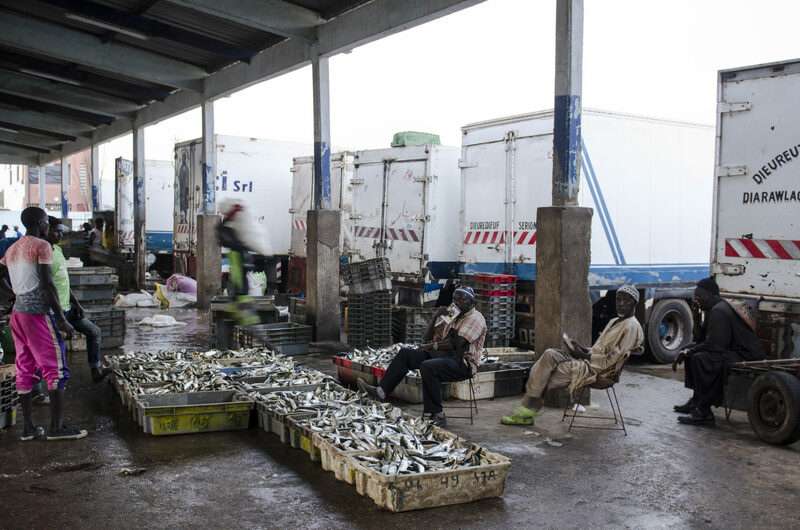 From then on, the town’s port swiftly evolved into one of the most important fish handling centres in West Africa. 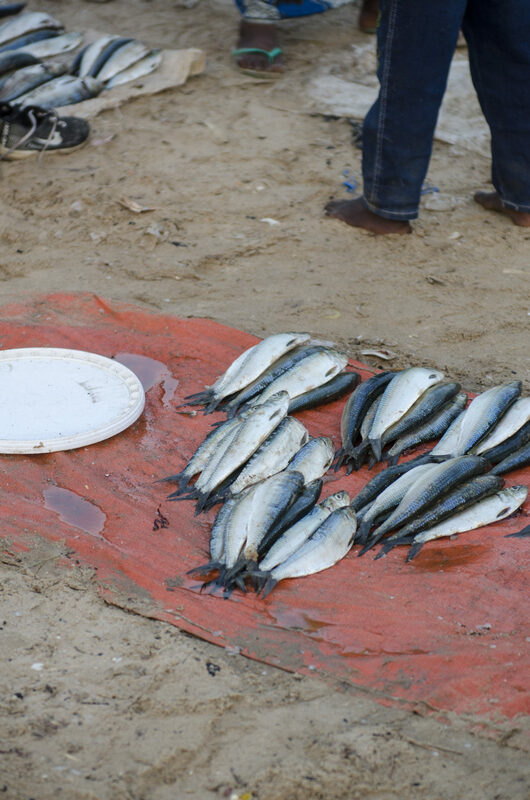 Today, the fish market Mbour occupies a large proportion of the beach. 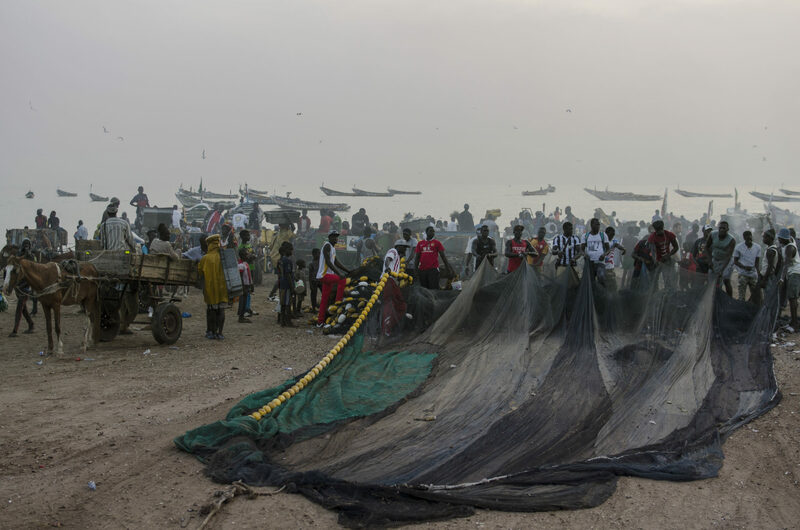 The waters of West Africa are among the richest fishing grounds on earth. Most of the town’s inhabitants, largely Sérèr, exist on fishing and small-scale trade. The incoming boat is a long and brightly coloured vessel, carved from a single tree. Around a dozen men are on board, barely visible through the fog. They are squatting slightly and prepared to alight, as though desperate to be back on land. However first the cutter must be unloaded, into the shallow waters of the choppy Atlantic. The many tons of fish – from bream to grouper – must be put on ice as quickly as possible, especially now in the 30 degree evening sun, or at least, evening haze. The fish is deftly transferred from man-sized wooden boxes into hand-held fish baskets and plastic chests, and these are then carried to the shore. One after the other, as swiftly as possible. This is a particularly critical task, considering the value of a catch of this size in a West African country where the fruits of the sea are worth a lot of money. Those who bear the overflowing fish-boxes through the shallows have certainly earned their name: the fish-runners. These couriers in their rubber outfits have a reputation for hard work, and they conscientiously empty the catch from the incoming boats through the evening, dashing back and forth between the pirogues and the coolers lined up on the beach. Their job consists of wading into the sea, up to their armpits, and taking delivery of the baskets and boxes full of fish. Laden down with this valuable cargo, they make their way back to the shore, and to the marshy beach where the sellers stand assembled around their collection points. They balance the heavily-laden baskets as high as possible above their heads, so that no-one is tempted to grasp at their loot. But it is too late. Their pursuers waste little time. A scrum of small boys is always hot on their heels, following closely behind and ever hopeful that a stray fish might fall. Their eyes remain fixed on the gently swaying baskets. Small holes in the sand and other obstacles are skilfully avoided. But sure enough, every now and then a glistening fish is jostled from its place and slips down on to the sand. The fish runners appear indifferent. They pay the children no heed. After all, they have enough to concern them with the load on their shoulders. Not to mention the dark red fish blood and the dense fish juices, which drip down across their faces. They are soaking wet. The boys are just as engaged in the process. But none of them are doing this for fun. For both groups, this activity represents hard work and serious business here at the fish market Mbour. The boys dash back and forth from the sea to the impromptu market on the shore, ever attendant on the fish-runners. Back and forth, time and time again. None shows any signs of exhaustion. Only occasionally do the boys pause to rest their swindled fare down on the side, where their mothers wait with opened tarpaulins. These are the fish destined for the black market. A semi-illegal business model for the locals, but nobody here seems at all bothered. The fish have fallen from the back of the proverbial truck – or in this case, plastic box. 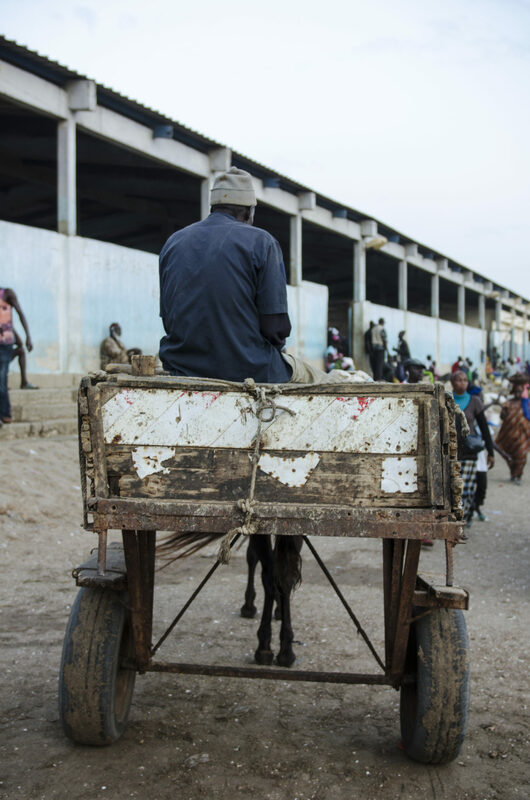 Behind the fish hall, a row of transport lorries stand waiting, with Arabic script along their sides. They are parked in rows and numbered, so that every runner knows exactly where to deliver his fish. On the back of the trucks, the fish are assembled in plastic containers, with a fresh layer of dry ice poured between each tray. The entire procedure takes place at breakneck speed. The trucks need to reach the refrigerated warehouses from Dakar and the hinterland of the Petite Côte by the same night. The scenery at M’Bour’s fish market is completely surreal. Dense, pungent plumes of smoke blow across the site as the fish are treated, lending a dusky atmosphere in the fading evening light. The workers are barely visible in the shadows. Silhouettes dance across the beach. The foggy light could almost lull into a dreamy half-sleep, were it not for the tumult and the loud cries of the fishermen and the market workers, which cut through the air and bring you back to earth with a judder. More and more pirogues emerge from the mist and approach the shore. 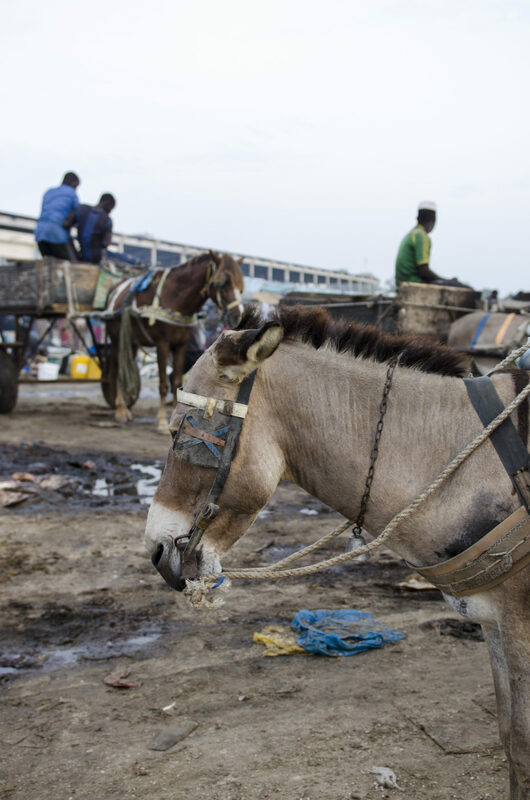 Donkeys and horses pull wooden trailers full of fish along the beach, as they have done for the past hundred years. Nets are manfully spread out, all traces of algae disentangled and carefully rolled up by teams working in nimble concert. The men have spent 15 days out at sea. From the Atlantic coast in Mbour there is only the open ocean. Then, depending on the predictions of the fishermen, the pirogues set off once again, either towards the north, in the direction of the Mauritanian coast, or further south. There, the waters of Guinea-Bissau await, often with larger schools of fish – around 800 km south of Mbour. The acute discomfort which lies ahead for these men, can only be guessed at. Perched on their tiny boat, without so much as a roof or any form of shelter to protect them from the might of the sea, they fish together, eat together, and sleep together. Little wonder, that they appear somewhat dazed when they finally come ashore. But what wouldn’t they do, to secure the ultimate catch? As elsewhere in Senegal, an array of other vendors are attracted to this hub of activity, hoping to capitalise by selling their own items. They have all the necessities for a quick snack between sailings: bananas from the hinterland, pastries, watermelons, ice-cold water – or coffee and cigarettes for a little pick-me-up. Naturally some fish are also fried on the spot and sold straight away. Some eager salesmen have even set up tents with plastic chairs, encouraging a short break and a meal in comfort. This is something few can afford – on time grounds alone. Time is money – especially when it comes to fresh fish. 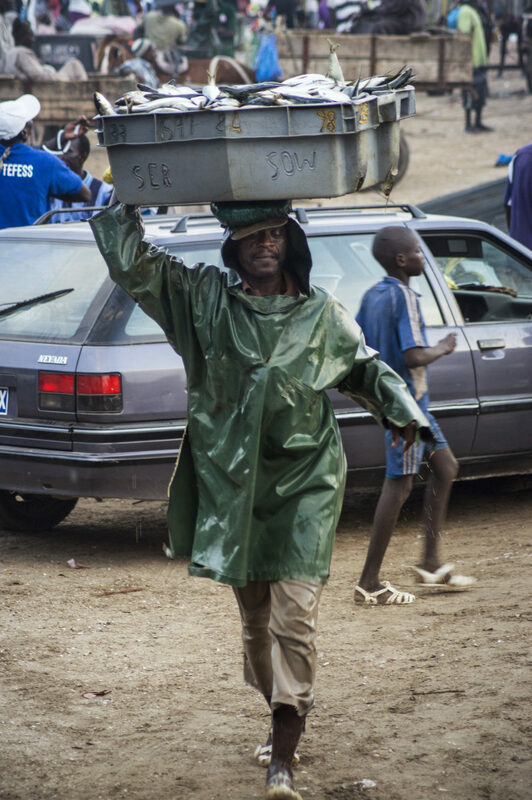 It remains to be seen whether the fish-carriers will keep their jobs in the future. 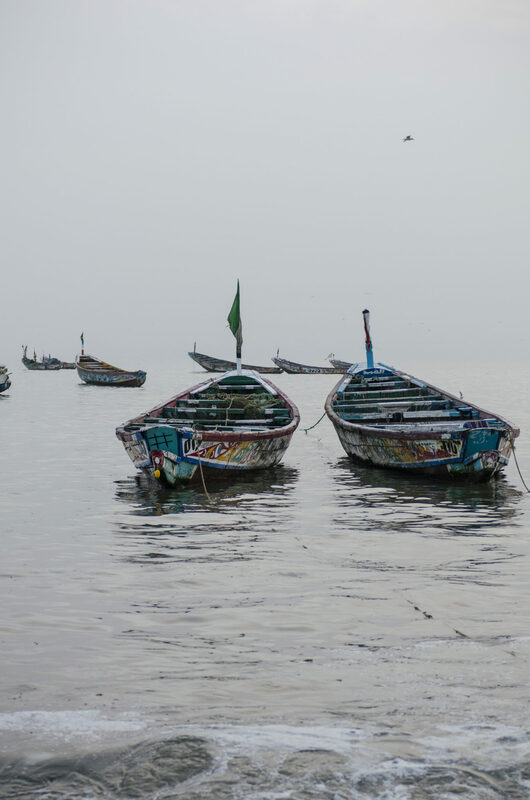 For some time now, environmental organisations and NGOs have warned of overfishing in Senegal, and throughout the wider region. Experts believe that fishing activities in West Africa are overwhelming the regenerative ability of fish stocks. However, it is not the local fishermen with their pirogues that are to blame, but rather, the immense fleets from China, Russia and the EU. 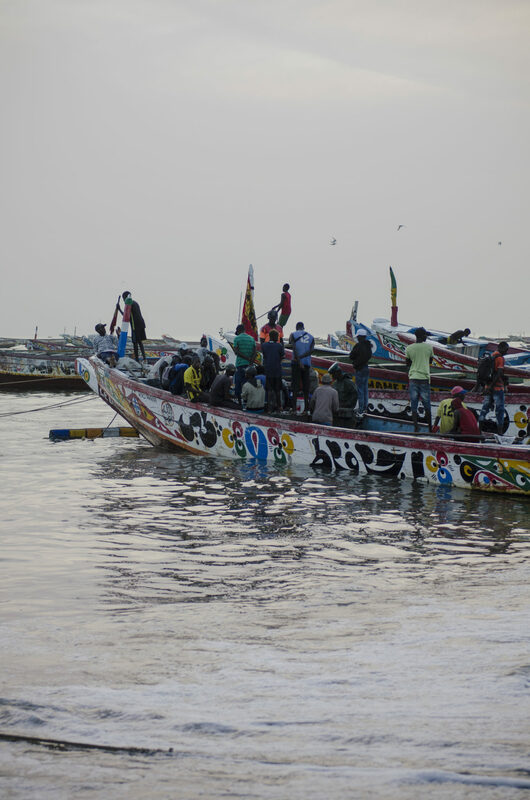 The Senegalese government has been generous in its issuing of fishing licenses to them. Further, many large operations take far larger catches than they are legally entitled to. And this has consequences. A study from Canada’s University of British-Columbia suggests that 80% of fish stocks in West Africa are now overfished. 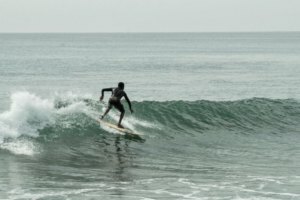 A consequence that has caught the eye of Alassane Samba, director of the Senegalese Centre for Marine Research. Samba has been aware of this issue for some time and has been working hard to raise awareness of the consequences of overfishing in Senegal. 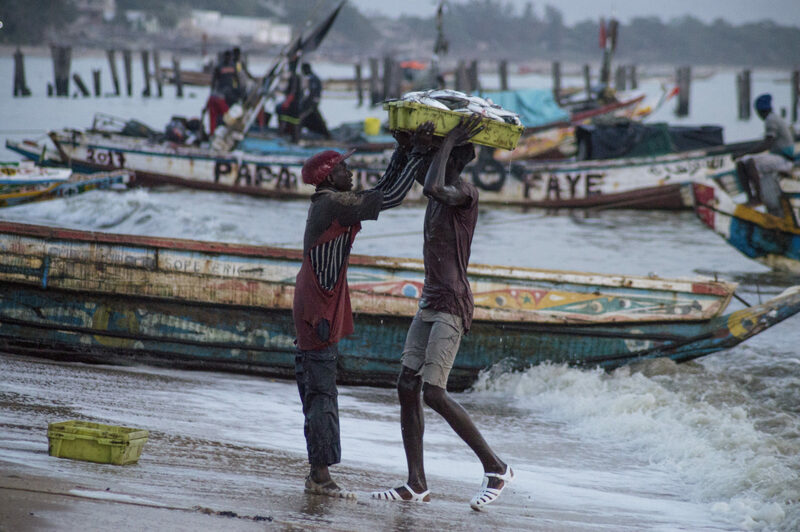 For many fishermen on the beaches of Mbour along the coast, it is more about the survival of their families and the continuing of age-old traditions. Little wonder, that they are willing to travel as far as the coast of Guinea-Bissau.